Product information "Lightweight Hamman Cloth"
Verstile Lightweight Hamman Cloth in 100% cotton in mediterranean inspired blue, white and sea green. Hand knotted tassles at each end. 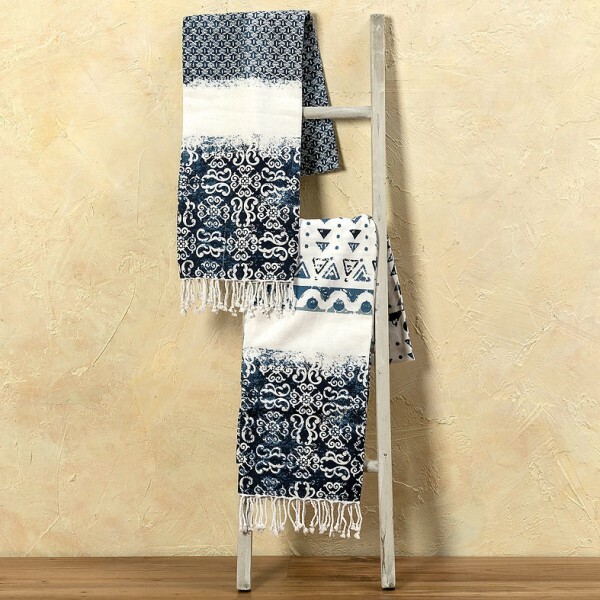 Perfect lightweight towel, use as a throw or it would make a great table runner. Size W 100 x L 180 cm. Related links to "Lightweight Hamman Cloth"
Customer feedback for "Lightweight Hamman Cloth"